• Darwin: Capital city of Northern Territory, Australia is Darwin. Now Darwin is closer to Jakarta than to Sydney, and also closer to Singapore than to Melbourne. It is not really a surprise then that Darwinians looks to Asia for travel, influences in dress and food as much as it looks south to the rest of Australia. Darwin's proximity and relationship such as its sister city program with the Northern Territory's northern neighbours is reflected in Darwin's cosmopolitan and relaxed tropical atmosphere and culture. History of the city of Palmerston, Northern Territory. It is app. 22km SE of the Darwin CBD Palmerston is relatively new, having been established in 1981 as a satellite of Darwin. In August 2000 when our population reached 23,000, now around 25,000. The City of Palmerston offices are located on the corner of Chung Wah Tce and University Ave. Office hours are: 8.15am - 5pm Monday to Friday (excluding public holidays). Contact our Customer Service Officers on 08 8935 9922. Howard Springs is a town and community in a (now semi) rural area on the outskirts of Darwin, 30 kilometers from the centre of town. In 2009 it is often referred as a rural suburb of Darwin. Most of the area is 5 hectarce blocks of land that are either mango plantations or home lots. Now a very desirable location to live properties in Howard Springs are snapped up very quickly when they become available. Howard Springs Nature Park protects 283 ha of diverse habitats including monsoon forest, extensive swamps and riverine areas. These areas provide valuable wildlife habitats, especially for Magpie Geese, Whistling Ducks, Radjah Shelducks and Pygmy Geese. The Park is approximately 35 km south of Darwin. Turn east off the Stuart Highway onto Howard Springs Road. Turn west off the Stuart Highway about 47 km south of Darwin. The Park is 10 km along the Cox Peninsula Road. Visiting Australia's Northern Territory? Home to an array of flora and fauna the Territory Wildlife Park showcase one of the worlds finest nature Parks. Situated in Berry Springs, a 45 minute drive south of Darwin’s CBD, and conveniently located next door to Berry Springs Nature Reserve the Territory Wildlife Park truly is the Territory’s wildest wildlife experience! Noonamah Store, Noonamah Tavern and 'United' Fuel Stop The Noonamah Hotel, Cafe and Fuel Stop is on the Stuart Highway, Northern Territory, Australia. Noonamah is a small town just 46km from Darwin. Noonamah itself consists of pub and a general store/service station. The Darwin commercial Crocodile Farm is located here with over 7000 crocodiles and American alligators. Noonamah 'United' Fuel Stop is excellent for campervans and 4WD rentals as there is ample car p-arks and even for larger motorhomes and RV's. Noonamah was first settled during World War II when the army set up a series of airstrips and depots in the area. Despite being bombed by the Japanese, the airstrips still remain to this day. From the Stuart highway it is 44klm to the Lake Bennett Wilderness Resort. The flora along the Stuart Highway varies from exotic palms to low lying scrub land known also as bush. Acacia Fuel Stop which is located along side the Acacia Camping and Van Park. If you travel from Darwin the road to Litchfield National Park one takes is usually via the sealed road called the Stuart Highway. Batchelor Road meets the Stuart Highway about 92klm down from Darwin. Then the Batchelor winds into Batchelor and from Batchelor you drive into Litchfield National Park on Litchfield Park Road. Visit nearby Litchfield National Park and see stunning waterfalls and amazing termite mounds - and swim safely in crystal-clear swimming holes. Enjoy the first glimpse of the Timor Sea by following the Explorer's Way right into the heart of Darwin. Together with stunning tropical waterfalls and swimming holes, this is a truly beautiful destination found just south of Darwin, the capital city of the Northern Territory. Litchfield National Park features numerous waterfalls which cascade from a sandstone plateau called the Tabletop Range, monsoon rainforests, intriguing magnetic termite mounds and historical sites. Litchfield National Park is chosen by local Darwin residents and tourists as 1-3 day destination for it's waterfalls and magnetic termite mounds. Also noted are the 4WD tracks into some of the more remote parts of Litchfield National Park and surrounding region. Adelaide River (Wairia).The photo on the left shows the Adelaide River main street. OK it's not 5th avenue though it can busy we have seen 8 cars here at once. The township of Adelaide River lies on the Stuart Highway 201 km northwest of Katherine and 114 km south of Darwin and has a population of 159. It is located near the headwaters of the Adelaide River. Adelaide River, being about halfway between Southport and Pine Creek, became a popular camping spot and so, in 1873, an enterprising man named Dougherty opened up an eating place. He constructed a rough building out of logs and bark. A short time later H. S. Finlay opened the settlement's first hotel which he called the QCE Hotel meaning 'Quiet, Comfort and Ease'. In 1879 a police camp was built at the river crossing. Historic hotel offering motel accommodation and caravan park, plus food, fuel, amenities, gaming room and beer garden. Motel accommodation, caravan park and campground (pets allowed-weekly rates on application), Counter meals, cooked country style breakfast, tropical garden surrounds and relaxing atmosphere, 'Charlie the Buffalo' (deceased) the star of Crocodile Dundee 1&2, the 303 Bar, Fuel and Auto gas, Takeaway meals. Located on the Stuart Highway, 150 kilometers south of Darwin, Hayes Creek is a gateway to World War II sites and the Northern Goldfields loop with easy access to Litchfield National Park , Batchelor, Pine Creek and the Tjuwaliyn (Douglas) Hot Springs Park. The Emerald Springs Roadhouse was renovated in 2008 and is now once again the perfect half way spot from Darwin to Katherine. For visitors travelling with their pets the Caravan Park is designed as a ‘pet friendly area’ which includes an ‘off the leash’ run area. This area allows dogs to run off the lead, have a swim in the dam and roll around on grassed areas. A hydro-bath is also on site where owners can keep their pets clean for the journey ahead. A range of pet food will be available in the Convenience store. • A bushwalking track weaves its way down to the water and swimming is possible in most of the pools. Only go after checking with roadhouse manager. • A Backpack picnic can be provided which includes lunch, energy bars, juice, water & fruit. • First Aid Kit & Safety Equipment such as flares are also contained in the backpack. o The Gorge offers not only spectacular photo opportunity views but a chance to swim in a natural stream and waterfall which is not overcrowded. • All you need is a Map, a Metal Detector, a hat & sunscreen and a touch of the Gold Rush Fever and you are on your way to maybe discovering your superannuation! • Metal Detectors can be hired at the Roadhouse and detailed maps will be provided with previous gold findings marked on the map. • This 17km 4WD track is an excellent 4x4 experience which takes you to the picturesque Butterfly Gorge where visitors can experience the Northern Territory eco system at its best. • The extensive varieties of butterflies are plentiful all year and swimming is allowed in the rock pools. • Standard and gourmet picnic hampers are available from Emerald Springs. • With Emerald Springs being only km from Grove Hill Heritage Hotel it is an excellent day trip for exploring the area for crystal and gold and interacting with the locals. • The Douglas Daily Hot Springs are a short drive from Emerald Springs (20km) and offer the tourist the unique experience of swimming in a natural fed spring that has hot and cold pockets of water rising to the surface, where the temperature can reach 60 degrees in some sections. • Visitors can also see Aboriginal artists at work at the Merrepin Arts Centre. • Standard and gourmet picnic hampers are available from Emerald Springs or if preferred Barbeque meats and salads can be provided for guests to cook their own barbeque lunch at the Hot Springs on the Barbeques provided in the picnic area. • The natural spring fed Lake Emerald is the perfect place for visitors coming to the Territory who are hoping to catch themselves the Territory prized Barramundi. • Catching a ‘Barra’ whilst in the Territory is on the priority list of most travellers and here the experience won’t cost anything and it won’t take all day! • The catch is limited one fish per person with a strong incentive for the lucky angler to ‘Catch and Release’ in the breeding season. • The old Stuart Highway makes and excellent Mountain Bike Trail as not all sections of the highway are still intact therefore providing some off road travel to keep the ride interesting. • The trail is 16km long and can be used by visitors of all ages. Situated 90 kilometers north of Katherine with a population of 600, the colourful mining town of Pine Creek is at the junction of Stuart & Kakadu Highway. Gold was first discovered in 1871 by workers building the Overland Telegraph Line. The town still possesses the original buildings constructed back in the heady gold days and it is great to soak up some of that old pioneering spirit still evident at Pine Creek. Gold mining still continues to this day with one of the biggest open cut gold mines in the Territory. Just north of Pine Creek you can turn onto the sealed Kakadu Highway and it is just 60km to the southern boundary of Kakadu National Park . This gateway is a bonus when travelling north from Katherine, as it allows the traveller to include Kakadu en route to Darwin. Pine Creek is the only original mining town remaining in the Top End from the gold rush era of the 1870s. The National Trust Museum building is the oldest surviving prefabricated structure in the Northern Territory. Originally the home of the Mining Warden in Burrundie, it was later moved to Pine Creek in 1913 and over the years it served many purposes such as; a doctors residence, clinic, dispensary, military hospital, and post office and exchange. Today the building houses the National Trust museum and town library. A browse through the building and its contents sheds light on the gold rush, local Chinese history, buffalo hunters and the Overland Telegraph Line. Lake Copperfield and the Mine Lookout are worth visiting. Leliyn (Edith Falls) on the western side of the Park, is reached by turning off the Stuart Highway 42km north of Katherine then following a sealed road for a further 19km. • Swimming is the most popular pastime at Leliyn. Both the lower and upper pools are excellent swimming spots, as is Sweetwater Pool. They are open year round, but may be closed due to dangerous conditions at times during the wet season. • Picnic and camping facilities are provided at the Falls. Limited gas barbecues, tables and an ablution block with toilet and shower facilities are provided for your use. There is a kiosk where you can obtain your permit for camping at Sweetwater, purchase food and drinks and pay your camping fees. • Camping - Leliyn has a landscaped campground with unpowered sites. Generators are not permitted. Camping fees apply and should be paid at the kiosk near the picnic area. When the kiosk is open, campers should pay fees before setting up camp. After hours visitors should find a site and pay fees at the kiosk the next day. The campground does become full during the peak tourist season (June to Sept), and sites are issued on a ‘first in first served’ basis. • Walking - There are two walks at Leliyn. • Leliyn Trail - a 2.6 km, 2 hour circuit that ascends a hill then goes down to cross the upper pool above the falls. It then climbs up the other side of the falls before descending to the level of the main pool where there is a river crossing. Views of the waterfalls and Edith River from two lookouts, on one each side of the river, feature in this walk. So does swimming in the upper pool. Wet season conditions can limit access, reducing the walk to a return trip to the first lookout and top pool. • Sweetwater Pool - an 8.6km return walk to a fantastic swimming spot. This can be done as a day or overnight walk. There are toilets at the Sweetwater Pool camping area. Overnight walkers must obtain a permit from the Edith Falls kiosk - bookings are recommended. A small fee and deposit applies to the bush campsites. This 292,800 hectare National Park is owned by the Jawoyn Aboriginal people and jointly managed with the Parks and Wildlife Commission of the Northern Territory. Some of the Park's features include spectacular dissected sandstone country, broad valleys and numerous, significant cultural sites. The deep gorge carved through ancient sandstone by the Katherine River is the central attraction of the Park. • How to Get There: Nitmiluk National Park is located in the Top End of Australia's Northern Territory. The Park has two main points of visitor access. The Park's main entrance is located 30 km northeast of Katherine via a sealed road. Katherine is located 310 km south of Darwin along the Stuart Highway. Leliyn (Edith Falls) on the western side of the Park, is reached by turning off the Stuart Highway 42km north of Katherine then following a sealed road for a further 19km. • When to Visit: The most comfortable months to visit the Park are from May to September. The wet season causes flooding of the Katherine River and restrictions on some of the activities available. The access road may be cut off for short periods during peak flooding times. • Visitor Facilities: The picnic area provides gas barbecues, picnic furniture and toilet facilities. The launch tour boat jetty and canoe hire are located adjacent to the boat ramp. A public swimming area is provided in the picnic area. Information on the flora, fauna, geology, walks, activities, and other points of interest can be found in the Nitmiluk Centre at Katherine Gorge. • Walking: Numerous walking tracks offer a variety of experiences from riverbank strolls to spectacular overnight walks. Overnight walkers are required to book and register with Rangers at the Nitmiluk Centre. • Jawoyn art: Jawoyn art can be seen along the base of the sandstone escarpment in the Gorge system. Other evidence of Jawoyn activities are located throughout the Park. More detailed information about the Southern Walks and the Jatbula Trail is available in the Nitmiluk Centre, from Park information sheets, on the website or by calling Rangers at the Park. • Canoeing: Canoes can be hired at the Gorge by the hour, half day, full day or overnight. Private canoes can be used in the Gorge. For your safety, you must register and pay a refundable deposit at the Nitmiluk Visitor Centre. A small fee also applies. The upper gorges are accessible to canoes, by carrying them over the rocks separating gorges. • Camping: There are powered sites at the Gorge or unpowered, sites at Leliyn (Edith Falls). Campsite bookings are required for overnight canoeing and camping as numbers are restricted. A deposit applies to private canoes and bushcamping. Check at the Nitmiluk Centre for the availability of drinking water and location of toilets. Only fuel stoves are permitted. Sweeping from the Gulf of Carpentaria to the West Australian border, the vast Katherine region is full of hidden gems. Often called the 'Crossroads of the North' because of its location, Katherine is the fourth largest town in the Northern Territory and is located 312 km south-east of Darwin on the Katherine River. With a population of over 9,804 people Katherine is a modern thriving regional center that offers a wide range of services to communities from the Western Australian border to the Gulf of Carpentaria on the Queensland border. There is a modern air conditioned shopping centre, hospital, sports grounds, parks and gardens as well as a large number of Commonwealth and Territory Government services. • Its diverse landscapes and unique ecosystems set the scene for outback adventure activities like fishing, canoeing, bushwalking, birdwatching, camping and four-wheel driving. • The outback meets the tropics at Katherine, about 300 kilometers south of Darwin. The township is situated on the banks of the Katherine River, which flows down from the world-renowned Katherine Gorge (Nitmiluk National Park ). • Day trips from Katherine can be taken north to Pine Creek or south to Mataranka. Pine Creek has a strong gold mining heritage, with original buildings dating back to the 1800s, while Mataranka is famous for its tropical thermal pool and nearby Elsey National Park . 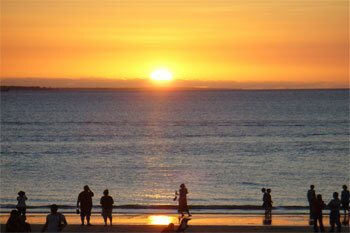 • The Victoria River region, south west of Katherine, is well known as a premier fishing holiday destination. There are also excellent four-wheel drive tracks and camping spots. • Further north, the Daly River region is another spot popular for fishing and camping travellers with hot Springs, gorges and rivers. • The remote Gulf region, east of Katherine, is perfect for adventurous anglers who enjoy fishing in remote rivers. 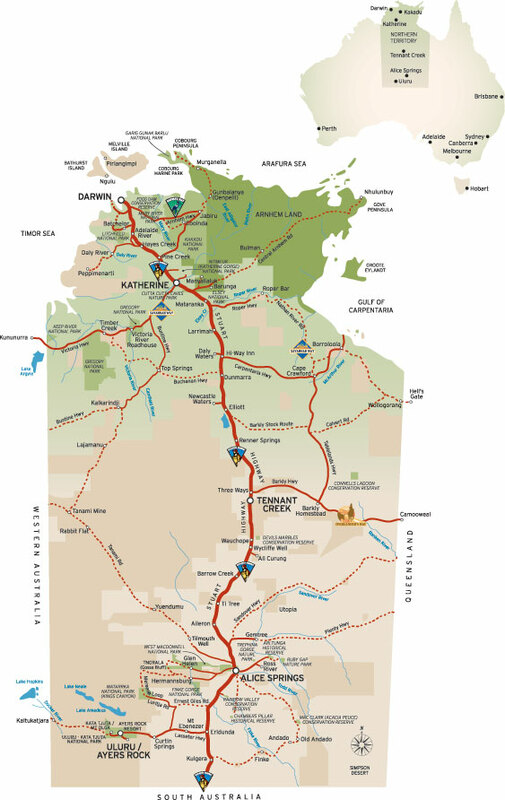 • How to Get There: Access is via the Stuart Highway 30 km south of Katherine. The carpark and visitor centre are one km from the Highway along a sealed road. • When to Visit: The park is open daily all year, however during the Wet Season (December to April) the caves may be closed due to flooding. The most comfortable time to visit the park is between May and August. • What to See and Do: The park concession conducts daily guided tours, generally conducted on the hour, of the cave system. The Tropical Woodland walk begins near the carpark and enables visitors to experience the open tropical woodland. Allow 10 to 20 minutes to complete the walk. • Visitor Facilities: A small kiosk sells tour tickets, refreshments and souvenirs. Toilets and covered seating are provided. Situated 7kms from Katherine township on the banks of the Katherine River, Springvale Homestead was built in the 1880’s and is the oldest standing Homestead in the Northern Territory. It is renowned for its hospitality and relaxed atmosphere. Springvale Homestead offers travellers a shady parkland environment, featuring grassed caravan and camping sites, budget motel accommodation, a licensed bistro and kiosk, swimming pool and children’s waterslide. Relax, wander the picturesque grounds with wallabies roaming freely and take in the beauty of the original Homestead. Free Homestead Tours operate daily at 3:00pm from May to September except Saturday and public holidays. Learn about the history and enjoy a devonshire tea. The small township of Mataranka sits on the upper reaches of the Roper River, an hour’s drive south-east of Katherine. This tropical wayside stop is on the Explorer’s Way tourism drive, the main artery that connects Adelaide and Darwin, and is renowned for its thermal pool – a sandy-bottomed lagoon fringed by palm forest and a rejuvenating swimming spot for weary travellers up and down ‘the track’. Although the township itself is small, with a population of about 250, it services outlying cattle stations and Aboriginal communities so is well equipped with facilities for travellers. • There’s a good range of camping grounds, accommodation and a supermarket. • The area was made famous by Jeannie Gunn’s 1908 novel 'We of the Never Never' – a book she wrote about nearby Elsey Station that is now part of Australian folklore. The Elsey Cemetery, 21 kilometers south of the township, marks the final resting place of many of the book’s characters. Attractions around town include the Stockyard Gallery that exhibits local Aboriginal art, barramundi hand-feeding tours and the Never Never Museum that displays the local Aboriginal history. Elsey National Park , eight kilometers from Mataranka, is another of the region’s natural attractions. • The massive Roper River slices through this 140 square-kilometre expanse, flowing through large waterholes then tumbling over rocks and tufa dams. Canoeing and fishing are popular activities and swimming is great at Bitter Springs and the Thermal Pool. Scenic riverside walking tracks to Mataranka Falls are a great way to explore the Park overland. The Mataranka Thermal pool is the biggest draw card to the region. Nestled amongst tall shady Mataranka Palms (Livistonia ....) the thermal pools pump out a tremendous amount of warm water which has soothed many a traveller over the years. Only a stones throw from the Roper River, the turquoise waters of the main pool add to the atmosphere of the Springs. In Elsey National Park there are many great walking trails . By far the easier ones are around the Mataranka Thermal Pool (for those short on time), and the other one is the Botanic Walk a few kilometers away along the Roper River. A great walking trail with informative displays and a few seats & a table along the way. All very shady for those worried about the temperature. At the turn around point is the Roper River (in picture), from here you can walk along the Roper River to 12 Mile Yards (maybe 8 km further) The road & the track run along the river with several other points of interest & entry/exit points at smaller loop walks. So it is very easy to be dropped off and walk for the day/morning back to camp and only be less 1 km from the main road. A great little swimming spot for kids is at the 4 mile hole, where an offshoot of the main river sweeps around creating a shady alleyway, that is segmented and shallow. For the adventurous, get dropped off at the Botanic walk and walk the 3.5 km to the 4 mile hole and meet with others there (boat ramp). You get to see different parts of the Waterhouse & Roper river . Bitter Springs Mataranka NT When travelling through Mataranka and you are looking for a nice relaxing place to have a dip and actually stretch out and do some laps, try Bitter Springs Thermal pool instead of the well frequented Mataranka Thermal pools. The cabins can sleep up to five people. Linen and towels are included and the cabins are fully appointed with television, microwave, stove, cooking utensils and a large fridge - everything needed to make your home-away-from-home; and we are just a short walk to Bitter Springs Thermal Pools! Elsey National Park , eight kilometers from Mataranka, is another of the region’s natural attractions. The massive Roper River slices through this 140 square-kilometre expanse, flowing through large waterholes then tumbling over rocks and tufa dams. Canoeing and fishing are popular activities and swimming is great at Bitter Springs and the Thermal Pool. Scenic riverside walking tracks to Mataranka Falls are a great way to explore the Park overland. • Avoid using soaps and detergent in or near the waterways. • Camp only in designated areas, and collect firewood before arriving at your campsite. • Generators are not permitted in this park (Elsey National Park ). • Observe all fishing regulations. • Pets are not permitted in this Park. Mataranka Northern Territory Only 100 km south of Katherine A great place to see some free Barramundi feeding, where the fish are pulled from the water with bare hands. Have a relaxing swim in the many thermal pools and crystal clear streams. Walk along the many shady walking trails amongst the massive palm trees. We have stayed here several times so far during 2003 - 2009 as we poke around in different parts of the region. Next time we will be off to the 12 mile yards to camp and walk along the Roper River to Mataranka falls, after walking and enjoying the 1 hour "Botanic Walk" . The Old Elsey Cemetery, 21 kilometers from Mataranka, has graves dating back to 1926. It’s a significant part of Australia's heritage and is the final resting place of many local characters written about in the famous 1908 novel 'We of the Never Never' by Jeannie Gunn. In open tropical woodlands 75 kilometers south of Mataranka, Larrimah is a former railway town good for a stopover. The town consists of three main establishments which provide a good variety of accommodation and services, and the nearby ghost town of Birdum is fun to explore. The historic township of Larrimah, located 250 kilometers south of Katherine, is a pleasant stop along the Stuart Highway. Its traditional owners are the Yangman Aboriginal people, whose descendants live today in the nearby community of Wubuluwan and in other communities around the region. The Yangaman people believe Dreaming tracks of the Storm Bird (a Channel Bill Cuckoo) helped create the surrounding landscape. Originally a staging camp for more than 3,000 servicemen during the Second World War, Larrimah is one of the Territory’s most historic towns with a memorabilia display at the old Police Station. Don’t pass up one of Fran’s famous home made pies, you can’t miss the signs. Daly Waters can be found about 270 kms south of Katherine, close to the junction of the Carpentaria and the Stuart Highway. Daly Waters Pub is on the Stuart Highway actually near the intersection of Stuart Highway and Carpentaria Highway. A township which comprises a few houses and the very famous Daly Waters Hotel. The annual Daly Waters Rodeo is a Northern Territory local icon event. Daly Waters also has the distinction of being Australia's first international airfield. It has a unique aviation history. It was a centre location for the London to Sydney air race of 1926, also World War II air force base and a refuelling stop for Qantas. The Daly Waters WW11 Aerodrome and Hangar (Aircraft) exhibits interesting pieces of historical facts, photographs and old equipment from the immediate areas former glory aviation days. The area's traditional Aboriginal owners, the Jingili people, believe the Dreaming tracks of the Emu and the Sun travelled through here on their way to the southern parts of the Northern Territory. When the famous Australian explorer John McDouall Stuart explored the areas of Daly Waters in the late 1800s he and his party became lost in the region and were dissolute and desperate for drinking water, making their discovery of a small creek leading to a series of waterholes particularly significant. You'll pass the turn off about 150km east of the Stuart Highway. Now we're off on the longest driveway in the world, nearly 400km to "the 'Loo". It's a long but pleasant drive if you don't push too hard; there are parking bays every 30 or 40km and several rest areas, suitable for camping, along the way to "Heartbreak" and on to" the "Loo". There are lots of just natural things to take your interest; the jump up - or down in this direction - at around the 250km mark is spectacular, especially if you're there at sunrise, and we intend to prepare a strip map from Burketown to Daly Waters in the near future. Isolated Limmen National Park offers a wonderful remote park experience, but you will need to be fully self-reliant when you visit. Featuring spectacular sandstone formations, numerous river systems and associated wetlands, it is also steeped in culture and history. Cnr. Stuart & Carpentaria Hwys Daly Waters NT 0852 Tel: +61 (0) 8 8975 9925. Located on the corner of the Stuart and Carpentaria Highways, the Daly Waters Hi Way Inn offers a variety of accommodation options from motel rooms through to camping sites. Enjoy the wide range of facilities available, including a licensed restaurant and bar, swimming pool, internet cafe and barbecues. With rooms serviced daily and great hospitality, you'll be able to unwind and relax, before planning your next Territory adventure. The budget rooms have double beds and bunks, with toilet and showers amenities close by. The deluxe room contains a queen size bed and a sofa bed, and has a verandah with tables and chairs. There are a range of powered sites available, with ablution blocks, barbecues and swimming pool close by. Indicative rate quoted is per person per night. The standard room contains a double bed, and bunks or single beds, and has a large verandah with tables and chairs. There is a range of unpowered sites available, all within easy access of ablution blocks, barbecues and swimming pool. Indicative rate quoted is per person per night. Dunmarra is a roadhouse 314 km south of Katherine on the Stuart Highway. Caravan park with lawned sites, large swimming pool and new amenities with budget air conditioned Motel accommodation, fuel and autogas. Take away food, restuarant, EFTPOS, Shellcard. With lots of pubobilia at the Bar and a wall size painted camp scene in the bar area of the public pub. "Banjo's Dream", hand painted mural showing the location of Dunmarra in the NT. Located at the junction of three major overland stock routes, Newcastle Waters was an important gathering place for drovers to provision and rest before continuing on with their gruelling overland cattle drives. The Newcastle Waters township, located 269 kilometers north of Tennant Creek, is part of a large, historic cattle station in the Barkly Tablelands. 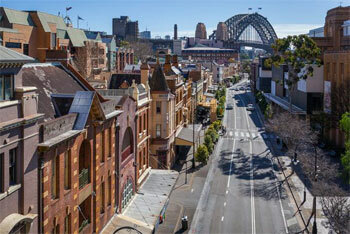 The township has become a ghost town, but while uninhabited, Newcastle Waters has a rich, vibrant history. Preserved historic buildings such as Jones's Store and the Junction Hotel are a reminder of the early pioneering era. Newcastle Waters was once the drover's crossing point where stock routes from the east and south met. It was also departure point for the feared Murranji Track, a notorious stock route with long stages between water for cattle. A number of old buildings from the droving days remain and are well marked with interpretive plaques. The famous Junction Hotel/Store & the Drovers Memorial statue dedicated during the Last Great Cattle Drive in 1988. Its set in the middle of a working station and well worth a visit. The Drover's Memorial Park features a large bronze statue of a drover allowing passers by to step back in time and gain insight into life in the rugged and lonely Northern Territory outback. Visitors access is through Newcastle Waters Station. Please observe all station rules that apply. The famed explorer John McDouall Stuart (See his memorial just below) passed thru this area during 1861 reputedly describing the river running north from Lake Woods as the most splendid reach of water?. He reputedly named it after the Duke of Newcastle, Secretary for the Colonies. Stuart established a base camp near the present site of the station. 255 kilometers north of Tennant Creek and 23 km to the south of Newcastle Waters is the small town of Elliott. or 100kms south of Dunmarra and 85kms north of renner Springs. Open 7am to 5pm 7 days a week. Elliott is the Barkly region’s second largest town and was developed during World War II. There is a range of services and facilities available for the traveller. Lake Woods nearby is a large body of permanent water in an otherwise largely arid region and is a haven for many bird species. 102 Stuart Hwy Elliott NT 0862. Spacious park with modern clean amenities, Cabins, powered and unpowered sites. Takeaway food. Renner Springs, now a roadhouse and motel, was originally a medical post for the workers constructing the Overland Telegraph Line in the 1870s. Its name derives from Doctor Charles Renner, who was the physician there, and the fact that there are numerous Springs in the area. Renner Springs takes pride in the level of service and quality of product it delivers, and clientele can be assured of a memorable experience of hospitality, and "a little bit of desert magic" whenever they visit. Explorer: The Overland Telegraph Line, linking Adelaide to Europe via Darwin, was constructed along his route. South Australia established settlement on the north coast at Darwin and vast areas of the north were opened up for pastoral and mineral development. Travelling north from Tennant Creek towards Katherine on the fast, straight Explorer’s Way, you pass through golden grasslands that slowly give way to Savannah woodland. Along the way, reminders of the past abound from the region’s pioneering, pastoral and Second World War history. Three Ways is a roadhouse located at the junction of the Stuart and Barkly Highways, 25 kilometers north of Tennant Creek. This a great place to take a break and unwind during a long journey, all while enjoying warm Northern Territory hospitality. The Three Ways Roadhouse offers restaurant meals, take away food, refreshments and fuel. It has a landscaped caravan park with barbecues, a swimming pool, and air-conditioned motel units and cabins. 74 kilometers north of Tennant Creek is a monument marking the point where explorer John McDouall Stuart turned back on his expedition to cross the continent in 1860 after a hostile encounter with some local Aboriginal people. It has since been appropriately known as Attack Creek. Tennant Creek in Central Australia sits on the Explorer’s Way, 500 kilometers north of Alice Springs and 1000 kilometers south of Darwin. To the east of town is the Barkly Tablelands - an expanse of land that supports some of Australia’s premier outback cattle stations. Tennant Creek’s history is shaped by gold mining, Aboriginal culture and pastoralism. The region's rich mining history can be explored at Battery Hill Mining Centre, the site of Australia's last major gold rush in the 1930s. Visitors can even try fossicking for their own gold. Aboriginal culture is strong in Tennant Creek. The award-winning Nyinkka Nyunyu Art and Culture Centre offers visitors the opportunity to learn about Aboriginal life, history and land. The mysterious rock spheres of nearby Karlu Karlu (Devils Marbles) are said to be the eggs of the Rainbow Serpent - a creature of a Dreamtime story. Adventure lovers have plenty of options in the Tennant Creek area. Four-wheel-drivers in particular are spoilt for choice with moderate to challenging four-wheel drive tracks available to test skills and vehicles. Stop at character-filled outback pubs, explore the historic Overland Telegraph Line, or experience star-filled nights in a swag. Tennant Creek Caravan Park is an ideal base for exploring the area. We're located on the stuart highway only a 5 minute walk to the shops with good access to Tennant Creek main and a good pick up point for tours. The park is a beautifully landscaped 2 hectare site offering open and shady spaces and a good standard of facilities including our outdoor swimming pool; A perfect way to relax after a hot days touring. A range of accomodation options are available to suit all tastes and budgets. We offer grassy lawns for camping, powered or unpowered caravan sites, bunk houses, standard and en-suite cabins. Mary Ann Dam Recreation Lake is a cool oasis, five kilometers north of Tennant Creek. This man made dam is a pleasant surprise in a rugged, Central Australian environment, offering an ideal picnic spot where the lake provide a cool oasis for locals and tourists alike and is large enough to allow for canoeing, windsurfing and other water sports. The Karlu Karlu / Devils Marbles are clusters of mysterious rock spheres located in the scenic Australian desert near the outback town of Tennant Creek, scattered in heaps throughout a wide, shallow valley. The boulders, which are often precariously balanced on top of one another, were formed by millions of years of erosion. The local Aboriginal people, the Warumungu, believe that the boulders are the eggs of the Rainbow Serpent. The ancient Aboriginal mythology surrounding this fascinating geological marvel can be explored through a short self-guided walking trail and informative signage. The Karlu Karlu / Devils Marbles Conservation Reserve, stretching over 1,802 hectares, is home to a wide variety of unique desert flora and fauna, including goannas and finches. The reserve is located approximately 400 kilometers north of Alice Springs or 100 kilometers south of Tennant Creek. The nearest town, Wauchope, offers a limited range of accommodation and facilities. Camping is permitted within the Reserve (fees apply), offering a great way to enjoy this ancient landscape. One of the best times to explore or photograph these unique formations is at sunrise and at sunset. This 1,802 hectare Reserve extends along both sides of the Stuart Highway approximately 393 km north of Alice Springs. The nearest settlement is Wauchope, 9km to the south, where fuel and limited stores can be obtained. Access is available all year round. An easy short (15 minutes return) self guided walk commences from the carpark on the western side of the road (the day use area) with signs explaining the formation of the 'marbles'. Visitors can wander around the site along a network of informal walking tracks. A simple bush camping area with fire places and pit toilets is located at the southern end of the Reserve. No water or firewood is provided, and campers should come well equipped. A simple bush camping area with fire places and pit toilets is located at the southern end of the Reserve. No water or firewood is provided and you should therefore bring your own supplies. Camp only in designated camping areas and camping fees are payable onsite. This historic pub dates back to the 1930s, when Wolfram was mined nearby. Today Wauchope Hotel provides comfortable cabins or caravan park accommodation, food and refreshments for travellers who want to experience the hospitality for which the outback is famous. Wauchope Hotel and Roadhouse is also the closest accommodation to the Karlu Karlu / Devils Marbles. Wycliffe Well is located 380 kilometers north of Alice Springs on the Stuart Highway, perfectly situated as a stop over. Wycliffe Well Holiday Park occupies a land area of approximately 60 acres, housing onsite accommodation options, grassed unpowered spaces and powered sites. The park is only a few minutes drive to one of the Northern Territory’s most renowned attractions, the Karlu Karlu / Devils Marbles Conservation Reserve. There is also an auditorium, bar, animal sanctuary, a large fishing/crabbing lake, restaurant and stage with an Aboriginal performance theme. Wycliffe Well is also home to one of the largest range of beers in Australia. Banka Banka Station was the first operational cattle lease in this region and also served as an army camp during World War II. Visitors can camp overnight at the station and learn about its past. The mudbrick Banka Banka homestead is situated approximately 100km north of Tennant Creek and about 100m west of the Stuart Highway on Banka Banka Station. Is a town in the Northern Territory along the Stuart Highway 193 km north of Alice Springs, 311 km south of Tennant Creek & 1289 km south of Darwin in Australia. It is the closest town to Alice Springs. The area around Ti Tree has a population of 995 people. The population is distributed between the 11 cattle stations, 6 Aboriginal outstations including Utopia, Ti Tree township, Barrow Creek community & the agricultural produce farms of Ti Tree Farm, Central Australian Produce Farm & the Territory Grape Farm. The area is an emerging centre for grapes & melons due to its year-round sunshine & abundant underground water supply. A famous landmark to the north of Ti Tree is Central Mount Stuart. Property facilities: Fuels, Autogas, Mini Mart, ATM, Counter and restuarant meals, Fully Self contained Motel rooms. Barrow Creek Telegraph Station Free entry A beautifully restored Barrow Creek Telegraph Station is located in Barrow Creek, set against the backdrop of the picturesque Forster ranges. This historical reserve is one of 15 telegraph stations that formed the network from Port Augusta to Port Darwin and has considerable historical value. The stone buildings were originally constructed in 1872. An information sheet on the self guided walk is available from the Parks and Wildlife website or the Barrow Creek Pub. The Barrow Creek Hotel is on the road between Alice Springs and Tennant Creek and is a popular stop for travellers along the highway. The old pub was built in 1926 and it still has the original old bar, underground cellar and tin ceilings, and contains a tremendous collection of memorabilia and items of interest which have been gathered over the years. It is worth stopping at the Barrow Creek Hotel to enjoy the publican's hospitality and to hear how Barrow Creek came to be an important outpost on the Overland Telegraph line. There's demountable accommodation outside, rooms inside and a caravan park. • These sites are suitable for caravans and close to amenities. Outback hospitality, Aboriginal art gallery, accom: camping, caravan grounds and air-con motel rooms, pool, BBQ picnic area, take a walk and view beautiful scenery, stop for fuel, buy some supplies at the store, or for a longer break enjoy some breakfast, lunch or dinner with an icy cold beer in the Glen Maggie bar! Travelling from Alice Springs past the Bond Springs turnoff turn off right to go onto the Plenty Highway and a further 27km to turn left up to the Sandover Highway. Experience a taste of life on an Historic cattle station in Australia's vast interior, yet be only 25kms from Alice Springs, that famous town at the heart of the legendary "Outback". Laura and Ben invite you to join them on the Heaslip family's historic Bond Springs Station a 1515 square km cattle grazing property nestled in the picturesque, rugged MacDonnell Ranges. Guests are offered a choice of two self contained comfortably furnished cottages a short walk from the Station Homestead. • or A great family option Cottages are air-conditioned and heated. The Tropic of Capricorn crosses the Stuart Highway 30 kilometers north of town. There is a monument marking the spot and a parking area. The Tropic separates the tropic (to the north) and temperate zones. It passes through Rockhampton on the east coast of Queensland. The Tropic of Capricorn Marker, a Bicentennial community project, is set back 15 metres from the road, along the Stuart Highway 30 kilometers north of Alice Springs. In 1987 the local Alice Springs newspaper ran a competition for a design to replace the Tropic of Capricorn marker. The winning design was submitted by a local resident, it consists of a stylised globe of the world on top of a slanted pole around 6.5 metres high. A local artist was commissioned to carve the Capricorn goats into either side of the cement base and the new marker was officially opened late 1988. Alice Springs - The heart of Central Australia is comprised of cavernous gorges, boundless desert landscapes, remote Aboriginal communities and a charming pioneering history. Alice Springs was established by the early explorers and remains as the centre of activity in this region. From the early 1900s, the vast desert of Central Australia was explored for its promise of rubies and gold. Today, north of Alice Springs is an adventure travel destination where visitors can still fossick for gems and explore the Australian desert while trekking, camping or four-wheel driving. Year round blue skies, stunning landscapes and a vibrant, diverse community - that's Alice Springs! Only a two hour flight from most Australian cities, Alice Springs is a must see destination renowned for its unique identity and rich cultural heritage. North-west of Alice Springs, along the Tanami Track and south of Alice Springs in the Simpson Desert, the art styles and stories of the Aboriginal people give meaning to the surrounding landscape. The most well-known natural highlights of Alice Springs are the East and West MacDonnell Ranges that straddle Alice and run for 223 kilometers. The modern town of Alice Springs has both western and Aboriginal influences. The town's focal point, the Todd Mall, hosts a number of Aboriginal art galleries and community events. Alice Springs' desert lifestyle has inspired several unique and interesting events such as the Camel Cup, the Henley-on-Todd Regatta and the Beanie Festival. The town of Alice Springs straddles the usually dry Todd River on the northern side of the MacDonnell Ranges. The region where Alice Springs is located is known as Central Australia, or the Red Centre, and is an arid environment consisting of several different deserts. In Alice Springs, temperatures can vary by up to 28°C and rainfall can vary quite dramatically from year to year. In summer, the average maximum temperature is in the high 30s, where as in winter the average minimum temperature can be 7.5C. The annual average rainfall is 279.2 mm, but in 2001 741 mm fell and in 2002 only 198 mm fell.